Christopher Brown serves as Pro Chancellor of Western Sydney University and Chairs the WSU Board's External Affairs committee and Academy - and recently retired from the boards of ANZ Stadium and Moorebank Intermodal Company. He previously chaired the Australian arm of Olympic supplier, Cleanevent and an RM Williams/Australian Agricultural Co joint venture company. He was a Director of Tourism Victoria and served for a decade as Trustee/Board Member of LUCRF Super Ltd. Drawing on his 20 years of experience as leader of two of Australia’s most successful industry lobby groups, Infrastructure Partnerships Australia and Tourism & Transport Forum, his TSA role has him acting as a discreet adviser to CEOs and Chairs of major corporations and leaders of prestigious public agencies in matters of corporate strategy, branding & communications, public policy, media relations and bid design. Having served on dozens of government committee and taskforces over 25 years, Christopher was a member of the Federal/State steering committee that chose the Badgerys Creek Airport site and then he devised an advocacy campaign to secure Federal Cabinet support. He also served on the NSW Govt Transport & Planning Blueprint Panel that first recognised Parramatta as Sydney’s 2nd CBD. Christopher chaired the WestLine Partnership, which secured a light rail connection along the Olympic Corridor, and established the Western Sydney Rail Alliance, which secured $5+B to build north/south rail connections to Badgerys Creek. He was founding Convenor of the Parramatta Partnership Forum and the Committee for Liverpool, and now manages the Canterbury Bankstown Forum, the Inner West Peninsula Partnership and Advance Blacktown civic leadership forums. He chairs the South West Sydney Local Health Advisory Board and served as an adviser to the Western Sydney Parklands. He was an Ambassador for the Australian Republic Movement and the 2000 Paralympics, he served as Olympic Attaché for Botswana in the 2000 Sydney Games, served as an international lecturer for the National Democratic Institute and has attended two US Presidential Conventions as an Australian representative. He established the Bradfield Partnership, in association with News Corp, which hosts the annual Bradfield Oration, and is convenor of the Sydney Roundtable civic leadership group. In 2014, Christopher Brown was awarded Australian Honours to recognise his service to industry and the community. Faith Halliday is an experienced business manager and collaborator. She holds a Bachelor of Architecture from UNSW (Honours) and has lived and worked in Australia, North America and Asia. Appropriating the same creative process to organisational operations, Faith derives innovative business planning solutions across strategy and client management. Prior to joining TSA, Faith was Manager Global Business Planning & Development at Australian-based, international architectural firm, Woods Bagot. In this role, Faith was responsible for the development and management of the firm’s global business plans, collaborating with Sector Leaders, Regional Chairs, Thought Leaders and key stakeholders. Prior to this, Faith worked in close partnership with the Group CEO as Manager, Strategy & New Initiatives, based in Hong Kong and acting in a chief of staff capacity. Faith brings global perspective and strategic thinking to our management team; providing the best possible service we can to our clients and partners. Jessica Commins is a seasoned property executive, with 13+ years of domestic and international experience advising retail property developers and retailers, and has also worked in Equities Analyst at Deutsche Bank. She most recently worked for Scentre Group (formerly Westfield) as National Manager, Strategic Research, reporting directly to the Group CEO. Jessica also supported Scentre’s operational strategies and development pipeline and established a global knowledge network in partnership with Westfield offices in USA & UK. She was originally involved in Westfield centre management and has represented Scentre Group in external industry forums and been involved with the company’s executive leadership development programs. She has worked in property and retail businesses in both Europe and the USA, including in roles with TK Maxx and Tommy Hilfiger. She previously served as Client Relationship Manager at leading consultancy, Pitney Bowes. Jessica holds degrees in Economics & Law from the University of Qld, and a Master’s Degree in Business Administration from the prestigious Stephen M Ross School of Business at the University of Michigan (USA). Adam has more than 15 years’ experience in media management, communications and marketing. He has worked in the public, private and not-for-profit sectors and been responsible for the development and management of communications and media strategies for major initiatives, including the Western Sydney Light Rail Network and the $2b urban revitalisation project, Parramatta Square. His broad, in-house roles with government and member-based organisations have also seen him lead communications, campaign and advocacy strategies on a diverse range of issues such as local government reform and the decentralisation of government jobs in Western Sydney. Before joining TSA, he worked as Communications & Marketing Manager at City of Parramatta and then Manager, Media & Communications at Local Government NSW. A former Fairfax Media journalist, Adam has a wide network of media contacts and extensive experience in development of successful public relations campaigns, particularly within local government, transport, infrastructure and sport. Additionally, Adam brings extensive experience in the delivery of high-quality communication products across multiple platforms, including the placement of opinion-editorials, executive presentations/reports, social media strategy and ghost/speech writing. Luke has a variety of experience in public policy and advocacy roles, with particular expertise in transport policy. He has extensive knowledge of the transport and planning issues facing Australian cities. He has experience advancing the interests of leading transport organisations and is a strong advocate for the role of the private sector in delivering public infrastructure and services. More recently, Luke has been involved in consultation processes for the CBD and South East Sydney Light Rail, M9 Corridor preservation, WestConnex, Parramatta Light Rail and Newcastle Light Rail projects. Luke joined TSA from the NRMA and previously worked for the Tourism and Transport Forum, The NSW Department of Family and Community Services and the City of Sydney. He has a Masters of Public Policy from the University of Sydney and a Bachelor of Communication from the University of Newcastle. Brett brings 15 years of sales, marketing and stakeholder management experience to Taylor Street Advisory. In his most recent role at Business Events Sydney, Brett was dedicated to working with local and international companies to position Sydney as Australia’s premier meetings destination, and a global city home to a rich base of innovators and entrepreneurs. Brett is able to draw on his extensive knowledge of the tourism and events sector, plus his broad industry and government networks, to provide advice and support to his stakeholders. He recently delivered the BOOMTOWN! Summit for 400+ delegates, project managing budgets, suppliers, attendees and speakers. Aside from his time at Business Events Sydney, Brett has also served in commercial and marketing roles with Tourism Australia and Luna Park Sydney, and as a policy manager for the Tourism & Transport Forum. Western Sydney University Academy Student (and former Advisory Board member) Lauren Nicholls, who is currently completing a Bachelor of Planning, joined the team as its Policy Officer. Lauren's passion for social justice, and enthusiasm for addressing inequality, along with a vast array of leadership roles, including as an Executive Member of Social and Community Workers Western Sydney and as a representative on the NCOSS Young Women's Round Table, are just some of the many qualities that she has brought to her role with Taylor Street Advisory. Marushka comes to Taylor Street Advisory with over 8 years’ experience in the events management industry. After 6 years in the conference space, and working alongside business and marketing gurus, she moved to the digital events sector where she built her technical knowledge and client facing skills. Now she is responsible for the delivering Western Sydney Leadership Dialogue’s program of events including BOOMTOWN! and Out There. Marushka holds a Masters’ degree in Business Administration and Marketing from the Australian Catholic University and has a keen interest in women’s health, nutrition and fitness. Born and raised in Bankstown, Catherine is a recent graduate from the University of Technology Sydney, joining the Taylor Street Advisory team from a range of roles in administration, marketing and event management. Catherine joined TSA as part of the events team, and is responsible for delivering a range of initiatives, from the VIP Boardroom Dinner series and industry workshops, to our signature policy Summits, BOOMTOWN! and Out There. Catherine has been involved in a range of volunteering and leadership programs, including leading the UTS chapter of international student organisation, AIESEC. Catherine holds a BA in Communications (Information & Media) and BA in International Studies from UTS, specialising in information management and Japanese. John Moore is a leader in corporate partnership and brand-marketing strategy. 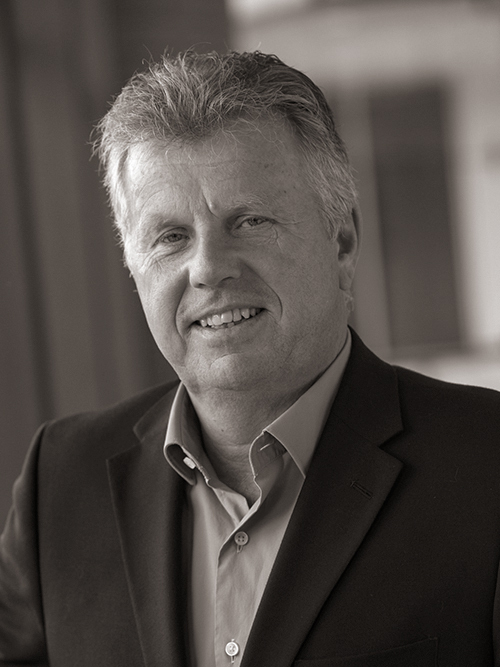 With more than 30 years’ experience in brand marketing, John has been involved in the development of corporate partnerships for Time Warner, Sydney 2000 Olympic Games, World Youth Day Australia 2008, FIFA and US PGA Tour. As Group General Manager, Marketing & Image, of Sydney 2000 Olympics, John worked with business and government to leverage the potent brand mix of Australia, Sydney and Olympics. Of the success of the Games, the International Olympic Committee invited him to join its prestigious IOC Marketing Commission. From 2000—2006 John was CEO (Asia Pacific) for one of the world’s largest travel retailers, Nuance Group, chaired locally by Nick Greiner AC. In 2006 John returned to brand and marketing consultancy working with Global Brands on projects for clients including FIFA and the US PGA Tour and was invited by the NSW Premier and Chairman, John O'Neill AO, to manage the Global Brand Sydney project. Most recently John has been working with a group of clients through his Excalibre Insights business. They include the Gold Coast 2018 Commonwealth Games, Sydney Motorsport Park, NSW Government, Notre Dame University and a global community art project. He also acts as a Special Advisor to TSA clients, and was co-leader of our strategic review of the National Rugby League.